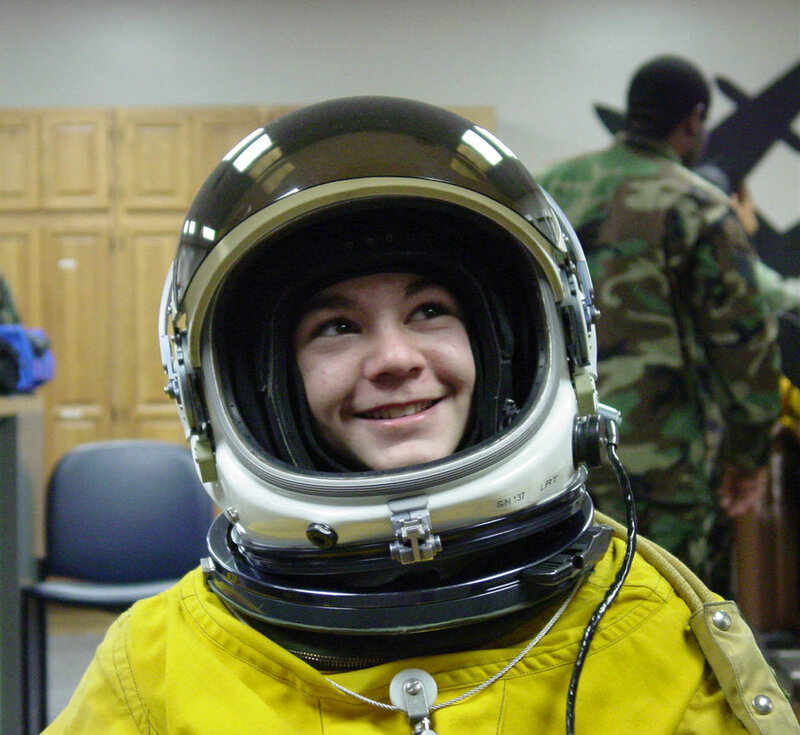 BEALE AIR FORCE BASE, Calif. (AFPN) -- Ryan Penne, then 13, reacts to being suited up in a pressure suit used by U-2 pilots when flying high altitude missions. Ryan and his family were given a tour of Beale last year as part of the Make-A-Wish program. It was during this tour that Ryan met Col. Darryl Burke, then vice commander of the 9th Reconnaissance Wing, who now commands the 380th Air Expeditionary Wing in Southwest Asia.